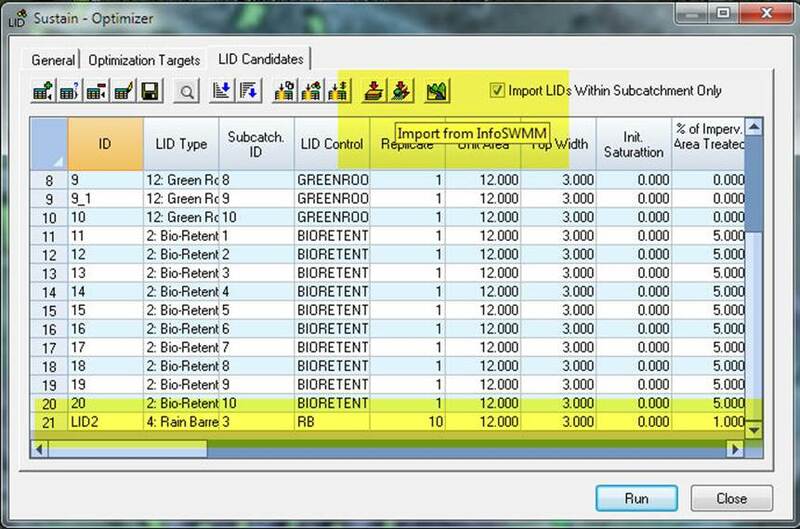 In addition to the LID Candidates found by the Siting Manager or added by the Sustain User directly to the LID Candidates Grid you can also import any LID’s defined in the LID Usage DB Table. Three ways to import or create the LID Candidate Rows. LID Usage table for Subcatchment 3. 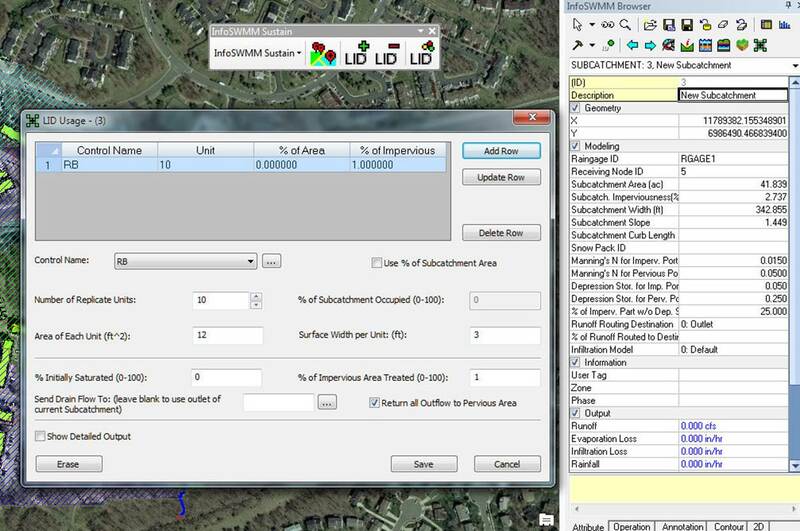 Imported LID Coverage and Control from Subcatchment 3. The imported control is a Rain Barrel.